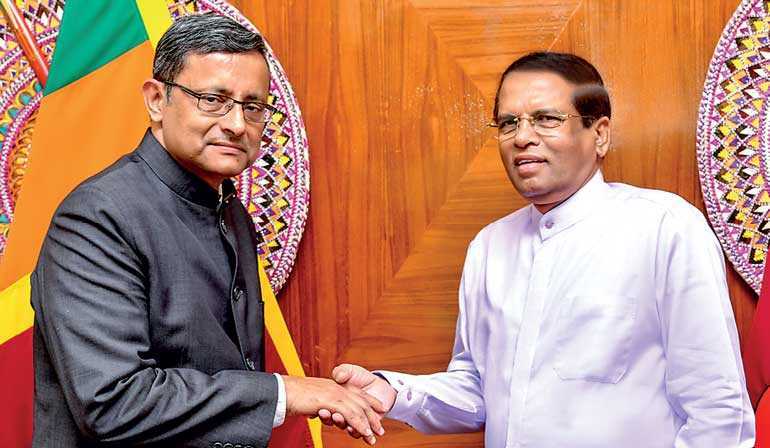 These issues were discussed when Indian Defence Secretary Sanjay Mitra called on President Maithripala Sirisena at the President’s official residence in Colombo yesterday. Sanja Mitra and Sri Lanka Defence Secretary Hemasiri Fernando will continue discussions to on these issues to further strengthen security cooperation between the two countries. Secretary to the President Udaya Seneviratne and Indian High Commissioner Taranjith Singh Sandhu were also present during this discussion.